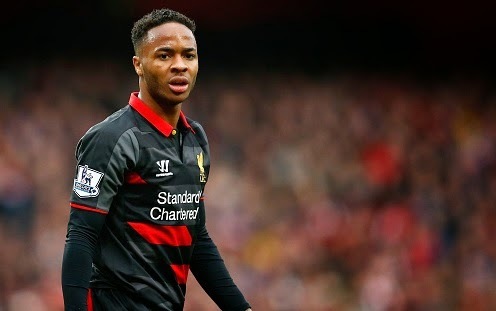 Manchester United join Arsenal in Sterling race Manchester United have joined the race to sign Liverpool star Raheem Sterling who has hinted to leave in the summer, as per Mirror. Manchester United have joined the race to sign Liverpool star Raheem Sterling who has hinted to leave in the summer, according to reports. Daily Mirror reported that Manchester United boss Louis van Gaal is keeping tabs on Raheem Sterling’s situation despite Liverpool boss Brendan Rodgers has said that he is going nowhere. Rodgers told that he has chatted with the player and came to the conclusion that he is going nowhere. Sterling rejected to sign a new deal in the recent weeks but revealed the reason that he did not reject due to the money, it was about trophies which he is not winning at Anfield. Several of top footballers has said that Sterling should stay as he is getting the most important thing at Liverpool, regular football. Moving to a new club, especially a better side will not give such importance. Real Madrid, Arsenal, Chelsea and Manchester United all are in the race to sign the highly rated Englishman. The 20-year-old has been rated at £50million (€68million). Sterling has been a vital asset for the Merseyside Reds for the past few seasons. He is certainly looking for a better club and reports further claim that these interested parties will come up with their offers when the season ends next month.